The duo on menswear's conservatism, design fundamentals, global influences, and the importance of setting standards. 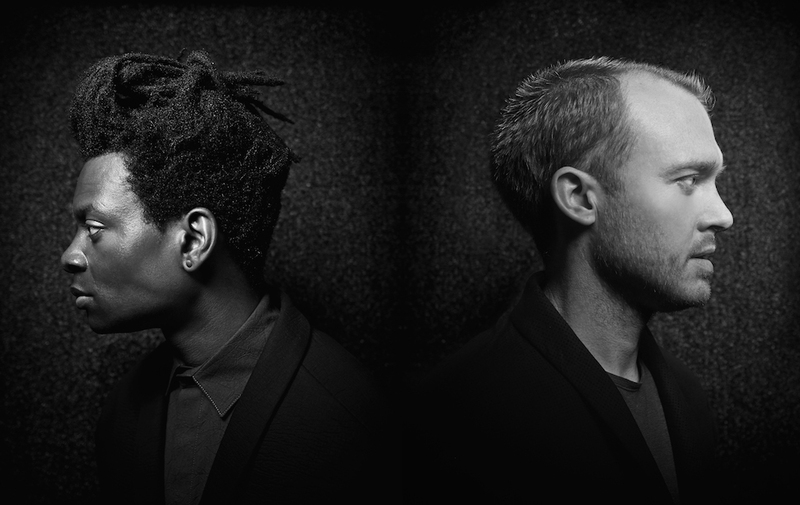 For Abasi Rosborough designers Abdul Abasi and Greg Rosborough, progression is the baseline. The duo, who had been classmates at FIT, created their label as a response to staid conservatism in the menswear market. Exhausted by jobs that asked them to design clothing that no longer addressed the demands of contemporary urban life, they set to work on rebuilding the man’s wardrobe from the ground up. 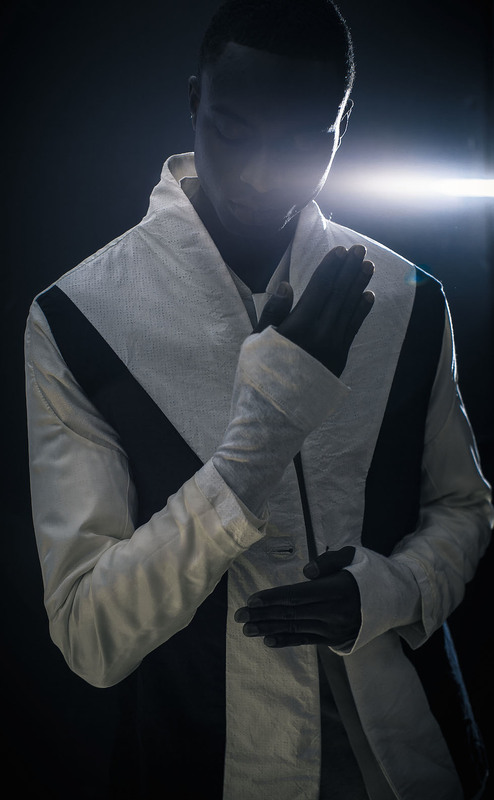 Now in its fifth season, Abasi Rosborough applies architectural precision to familiar aesthetic touchstones and global traditions. Their garments collapse the old “form follows function” maxim – all elements are both necessary and elegant. This interview has been condensed and edited for clarity. Tell us a bit about where your interest in fashion and design started. Abdul Abasi: Basically, all through high school, I always did drawing and design courses. I was always interested in art and design. It wasn’t until I moved to Europe, whilst I was in the army, that I really saw menswear in a particular light. I felt like [European] men took more risks. I saw it as more aesthetic than what you saw in America. I thought it was the best fusion art and design, like, a tangible way to wear things. After my stay of duty in Holland, I actually applied to FIT. They had a menswear degree program, where you learn the technique and the history of what menswear is about. Greg Rosborough: My dad was a basketball coach for the University of Arizona Wildcats. While growing up, they were a Nike-sponsored school. Every six months, they would give out some new gear to the team. My brother and I, we were always getting some new Nike gear. Also, my grandfather in Iowa owned a shoe store in Iowa that carried Jordans. I really got into the idea of the performance of design and why things are designed a certain way. I went to Arizona and studied business. I was working with the basketball team and we had this really amazing presentation from Nike when they were still developing the Nike Free. They showed us how they had basically, in slow motion, videotaped runners’ feet on real grass. They were showing us how the foot moved, and they wanted to mimic that in the design of the shoe. It was the first time I could really see anatomical elements affecting design in a very straightforward way. I thought it was absolutely brilliant. I was blown away by it. We had a tournament in New York around Thanksgiving, so I came to New York for the first time. I got to see things like Abdul said – [compared to] what you see back in Arizona, there’s more risk taken here. There’s more of a level of luxury, and taste, and things like that. It was really inspiring to me. That was when I first thought about going to design school at FIT. I loved the idea of design and how it can affect the human body. That was why I ended up applying there. 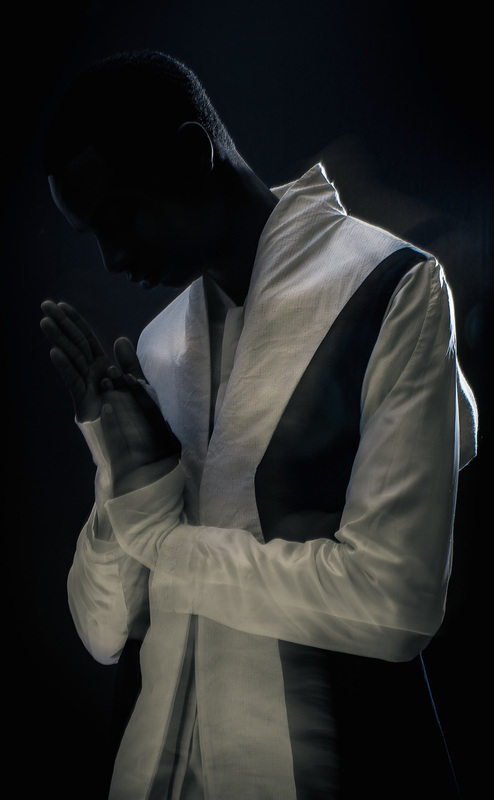 FIT’s also the only menswear program in the U.S.
AA: Central Saint Martins, as well. CSM was too expensive. Then Antwerp was – I have no Flemish. Those are two barriers I couldn’t get by, so I was like, let me apply to FIT. I think, in retrospect, it was a good decision. FIT is much more of a technical school rather than art school. If you’re creative, you’re creative. You don’t need to be taught, I don’t think. The technique of making clothing is something that, I think, is very… It’s like an architect, how can you build a building without knowing the physics? There’s so many things that go into the building aside from the aesthetic of the building. I think FIT gave us a firm foundation in how to make clothing, how to sew. Using that as a guide, it allowed Greg and I to formulate our thoughts and create what AR is today. Tell me about the beginnings of Abasi Rosborough. GR: After we both went to FIT, we had been, I would say, somewhat friends, but not really close friends. I always really respected Abdul. He had great enthusiasm and lots of ideas. In our class, a lot of people had one or the other, but he had both. I felt that I had a bit of both too. I always kind of remembered him. I had this idea from when we were in school. The initial thing that I was thinking about was that tailoring as we know it today was originally developed in the 1870s in London. It was a derivative of formal clothes and military clothing. It became this thing called the suit, which was initially like a sportswear item they used for hunting and riding and things like that. It evolved into the business suit that we have as the gold standard of menswear today. I thought, well, it’s a bit of a crime that no one in 140 years since this thing was developed has challenged it in a meaningful way. Yes, you can change the fabric, you can make lapels skinnier, maybe change the button stance, but there are fundamental flaws when you really analyze it. I called Abdul. This is about two-and-a-half years out of school, maybe even three years. I told him what I was thinking about. We just had this great exchange. He was really on the same page. We run the same wavelength in terms of thinking about things, but we come from different directions on it. I have this very practical approach, and he has sort of an aesthetic approach. We started just prototyping. It’s was kind of like, let’s see, with our pattern making skills, what we can come up with. That took about two years. We weren’t meeting all the time, but maybe we’d meet once every couple of weeks. Sit down for about eight hours, show each other what we had done. Say, “Okay, how can we do this a little bit better?” We were just cutting up tons of things. We probably went through 12 or 15 prototypes. Finally, two years later, we had really nailed this thing down that we thought was really comfortable, looked great, had a great aesthetic line to it, functioned in a way that we felt was very contemporary. We had really re-engineered the suit, but maintained the archetypal shape. If someone puts on our garments, you can still tell that they look sophisticated or dressed up, but in this whole new comfortable way. AA: When we developed it, we knew that it wasn’t the end all be all. Just like you have your iPhone, your computer, there’s always iterations and upgrades. We thought that at that point, we’d gotten it as far as we could take it. When we launched it, we launched it as an idea of a wardrobe with modular aspects. As New Yorkers, we’re going into different environments. You’re going underground, it’s hot, it’s cold, it’s air-conditioned. It’s all about peeling back layers. Everything has to function together. It was a small capsule, but it presented to the world our entire idea of how the modern man should dress. Now, in our fifth collection, we’re adding new pieces that sort of add on to that archetype and that sort of wardrobe. For us, it’s always like a journey and a process. It’s not necessarily saying, “This is the end result, the perfect thing.” It’s always, “How can we make it better?” It’s an ongoing dialogue and conversation that we revisit all the time. When you say your fifth collection, do you mean Chrysalis or your next Fall collection? AA: Currently, we’re in our sales campaign for Orison – that’s our newest one, which we haven’t unveiled. Our main development was a knitwear piece that takes our anatomical concerns and applies it to knitwear. For us, it’s a really exciting category to be in. I feel as though that’s the next one, too, as far as AR is concerned. Starting at that point and then sort of building upon that is I think what we’re excited about currently. GR: Chrysalis, like you said, is the fourth collection. It was the first one we had really tried to take what we had done and loosen up the silhouettes a bit. Everything prior to that had been very tailored and pretty fitted. With Chrysalis, we took our aesthetic, but were inspired by traditional Middle Eastern dress. There’re so many histories of dress across the entire world that have sort of been overrun by Western dress. It’s a bit of a crime, because those are important cultural heritages that have developed over eons. We wanted to revisit those, and so this new collection for Fall ’15 is revisiting Japanese traditional dress. I love the Middle Eastern influences in [Chrysalis]. I’ve always found it so ridiculous that – New York, for instance, is hot as hell in the summer. At the end of July it’s like 100 to 105 degrees every day. We have these beautiful histories of dress like from people who live in the desert and know how to dress there. Why don’t we access that at all? GR: Exactly. New York is crazy hot in the summer, and we’ve been taking British dress, the suit and things like that, which is from a medium climate, a grey, rainy climate, and putting it into a hot, humid climate and saying, “Okay, this is what we have.” That’s a terrible thing. You’re creating a problem as a designer. GR: Yeah, you’re creating a problem, so, instead, what would you ideally like to wear when it’s hot and humid? It’s looser and it’s drier hand feel, less layers, no linings, and things like that, to make it more comfortable. Greg, we heard a bit about your first job after FIT, but, Abdul, you had a really interesting professional history before starting a label, as well. Could you tell us a bit about your time at Engineered Garments? AA: Yeah, sure. After high school, I joined the military to get money for college. Got sucked in. I ended up seeing the world, traveling to Korea and to Holland and all these far-flung places. After doing that for a while, I realized that I didn’t want to take orders anymore. I’m a creative thinker. I wanted to kind of forge my own path. I went to FIT, and after I graduated, I got hired by Engineered Garments. I worked as an assistant designer under Daiki Suzuki. In the Japanese tradition, it’s a very nurturing culture. Most people stay with companies for their entire career. I was there under the impression that I would not be a designer for ten years. I would wait in the wings and learn everything and sort of soak everything up. For a while, it was okay, but when Greg called me, it was kind of a now or never moment. I decided to forge on and do that. I would say the biggest thing I learned from EG is that sometimes, even though you’re brimming with ideas, you have to sit back and really think about what are you trying to do, what are you trying to say. There’s a lot of things that have been done before. There’s too many brands out there, anyway. If you’re going to do something, you have to make sure that it has a place in this landscape, and a reason for being. [Working for EG] was a great education on details and origins and histories and vintage and all that sort of stuff. At the end of the day, I wanted to create something that filled a void, and needed to exist, and needed a place. I think AR was the perfect vehicle for that. You also got some hands-on retail experience when you were at EG. He said when he’s in the office, he’s in a bubble, and it’s all about speculation and trend-whatever. When you’re sitting there on the floor, dealing with customers, you find out their likes and dislikes. You find out what they gravitate towards, how things fit. It’s like being in the trenches, so to speak. That was a great education as well. Sometimes, when you’re designing something, you believe it exists for a certain person, but when you go into a store context, it’s totally different. It’s someone that you never thought would be into it. It was a great education on that. We definitely took that in consideration when we’re merchandising and we’re thinking about sizing. Like [Greg] mentioned, although we’re on the same wavelength, we come from two different directions. It’s always like, “I’ll wear this, maybe he wouldn’t wear that.” If we found something that we both would wear, then most likely everybody would be into it. It’s that push and pull and that tension and that dialogue that makes a product acceptable to a larger range of people. Looking at your list of stockists, at this point, you seem to wholesaling more to the Middle East and Asia. Is that correct? AA: Yeah, I would say so. What is it about your approach and your aesthetic that you think speaks to those markets? AA: Honestly, I think what we do is quite directional. I feel like those markets, they’re into new things. The Middle East, obviously, has a wealthy culture and they have an influx of the traditional Guccis and Louis Vuittons and that. But then there’s that contingency that also wants something new, something niche, artisanal, and avant-garde. I think that our stuff caters to people like that. We come from New York so we have that cachet, but they may not have heard of us. It doesn’t matter, because what we present is something new and fresh. I think that’s why we do so well in the Middle East. Also, we do take inspiration from that region. Some of our longer shirts or the fabrications that we choose work in those climates. GR: The other thing, I think, is North Americans and a lot of Europeans, we all live in these very old cities, and there’s a lot of nostalgia that goes with our general culture. The past is very tangible here because you live in old cities. With a lot of the Asian markets, and also the Middle Eastern markets, they live in these very new cities, and there isn’t that overwhelming nostalgia for what was before. Everything is built from the ground up in the last 15 years or whatever. These new ideas are maybe more welcome there because everything is a new idea at that point. Architecture, design, all different elements. America, I think, rests on this American classic ideal. I think that’s why it’s been a little tricky here. The good news is we got our first New York stockist when we were in Paris recently. We have one in Los Angeles, as well, H. Lorenzo. I think it’s going to come around. I think Americans, obviously, do warm up to a new ideas, but it has to catch, and it’s tricky. What’s the New York stockist? GR: This store over in Brooklyn called Gentry. It’s a really interesting store. They want to bring in some new, interesting brands, and they also wanted to be more New York-centric. One thing we’ve been talking about a lot is that we all thought the Dover Street Market would come into New York and be this, like, haven of New York designers, and it sort of isn’t. It’s offbeat London designers, but it’s not New York-centric at all. Somebody needs to take up those reigns, and [Gentry] is trying to embark on that. How do you feel that your approach to design has changed since you left school? GR: When you’re in school, it’s a lot of designing similarly to your favorite designers. If you love Raf Simons, then you’re designing similar things to Raf Simons. Which is interesting because you’re looking at the greats and trying to emulate them, which is not necessarily a bad thing. You’re not really comfortable stepping on your own two feet aesthetically, but you kind of know what you like. I think what has evolved is when we first designed the suit prototypes and the shirts, we needed to hear our professors say that it was good. We still had this design school mentality. I think there’s a freedom that comes from growing up a little bit and getting through a couple of collections. You have an aesthetic and you want to just build upon that. Abdul always says we were starting to create a vocabulary and now we’re trying to speak sentences. Our design details that we had, we’re now flexing them further and seeing what can they really do and just getting comfortable with that. AA: The biggest thing about designing anything is critical awareness. You, as a student, once you realize what is good and what is not good, then you can measure whatever you do to that ideal. For me, personally, in school, I was influenced by the greats. Yohji [Yamamoto] once said copy, copy, copy, copy until you find yourself. You know what I mean? In Asian culture, it’s all about copying, because you copy the best, then you find your own voice and you become your own voice. As long as you have standards, and you know what the ideal is, you can get closer and closer to that ideal. I think that that’s what we’re doing. To be directional is easy. You see fashion students all day come up with these wildly creative, imaginative things, but they don’t serve a function. They don’t have a purpose. They’re design for design’s sake. We are always reducing. We’re always saying, “What can we take away? What can we make simpler? What can we make easier?” That’s the struggle. It’s to pare back rather than to add. That just takes time. GR: We always think designer means problem solver. It shouldn’t mean anything else. AB: Most designers are stylists. If you really want to think about it. most stuff you see on the Parisian runaways, it’s styling. It’s some interpretation of some movement. Okay, we’re taking cowboys and we’re going to interpret them on the runway. We’re taking the 60’s. It’s just styling. You know what I mean? AAi: He’s not sewing. He’s styling. Which is fine, but it’s not design. He’s not solving a problem. The jeans still fit the same way that they fit 50 years ago. They’re still riding up. The jacket, the arms are still static. It’s like, how can you evolve if you’re not addressing these flaws? The block that you’re using is faulty. You’re just creating things on top of it. I believe that there are such things as good design and bad design. Innately, there’s certain properties that any person, universally, can understand and appreciate. AA: It implies movement. Or power. Even if you’re standing still, the jacket still looks like it’s in motion. GR: Yeah, you take a picture of a Lamborghini, and it’s like you can imagine it going fast because it looks fast. We try to evoke those same ideals in our stuff. AA: As students of design, there’s subtle ways you can imply certain things. I think that when you’re nerds like us, when you really dig deep into things, you find these similarities between the greats. In Paris, we saw the Obelisk. That thing, I mean, it’s 3000 years old, but the way that they constructed it, and even the way that it’s engraved, is something so monumental, and so precise, and perfect, and commanding. And simple, you know? It’s primitive yet modern. It’s like there’s these languages and these things along the way that great designers employ to get their point across. That’s what Greg and I are trying to do with AR. It’s always trying to convey strength, movement, power. We try to literally sew that into the clothes, so that when a man puts it on, he’s that much better for it. He’s free to move, and free to be himself, and he’s unobstructed. We wrapped him perfectly.